This item ships in the Fall. 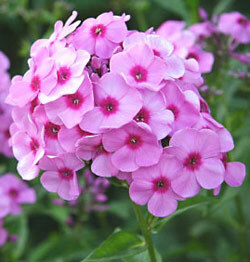 Botanical Name: Phlox paniculata Description: Bright Eyes phlox has delicate blooms of light pink with a prominent red eye. This is Fall 2013 shipping usually the second week of October.